As a sustained analysis of the connections between narrative structure and meaning in the History of the Peloponnesian War, Carolyn Dewald's study revolves around a curious aspect of Thucydides' work: the first ten years of the war's history are formed on principles quite different from those shaping the years that follow. Although aspects of this change in style have been recognized in previous scholarship, Dewald has rigorously analyzed how its various elements are structured, used, and related to each other. Her study argues that these changes in style and organization reflect how Thucydides' own understanding of the war changed over time. 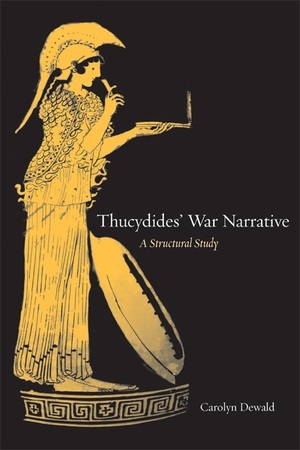 Throughout, however, the History's narrative structure bears witness to Thucydides' dialogic efforts to depict the complexities of rational choice and behavior on the part of the war's combatants, as well as his own authorial interest in accuracy of representation. In her introduction and conclusion, Dewald explores some ways in which details of style and narrative structure are central to the larger theoretical issue of history's ability to meaningfully represent the past. She also surveys changes in historiography in the past quarter-century and considers how Thucydidean scholarship has reflected and responded to larger cultural trends. Carolyn Dewald, Professor in History and Classics at Bard College, is coauthor of Herodotus: The Histories (1998).